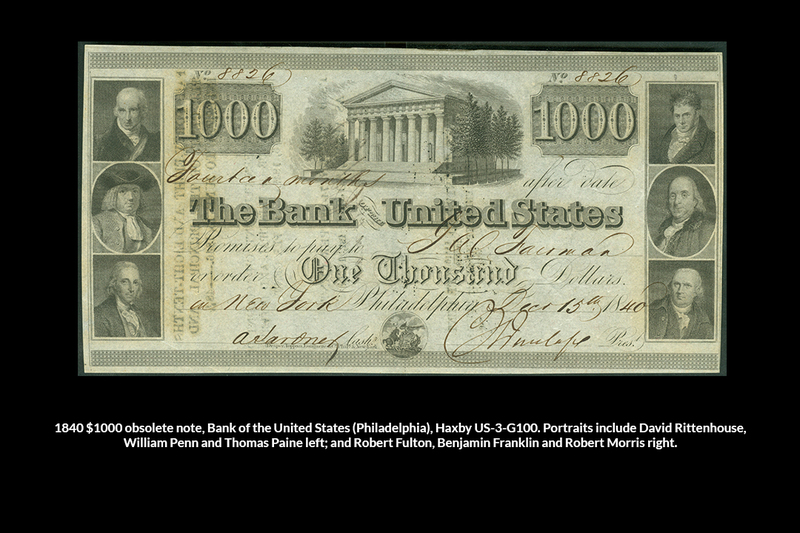 The Edward C. Rochette Money Museum’s collection includes numerous objects connected with some of our country’s most influential individuals, including letters, signatures and personal effects. 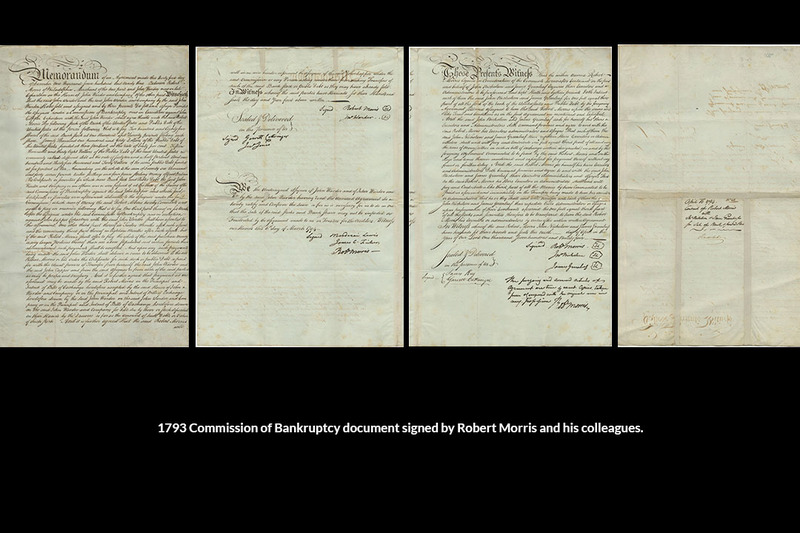 One particularly interesting piece of correspondence is a “Commission of Bankruptcy” signed by Robert Morris, a Founding Father of the United States and numismatic pioneer. Robert Morris (1734-1806) was born in Liverpool, England, and immigrated to Maryland at age 13 to live with his father, a tobacco salesman. He was sent to Philadelphia to study and apprenticed with a prominent merchant in banking and shipping. At 24, Morris partnered with Thomas Willing to form Willing, Morris & Co., which was involved in the banking, shipping and slave trade industries—a position he held for more than 20 years. The enterprise was profitable, and he became one of the richest men in the colonies. Morris’ public service began as a leader opposed to the Stamp Act of 1765. He served on the committees of correspondence, the Pennsylvania legislature and the Second Continental Congress. He developed a system of smuggling supplies from France through his business and provided several hundred ships to the Continental Congress, including many that played important roles in winning the Revolutionary War. Although he voted against independence on July 1, 1776, he eventually abstained and signed the Declaration of Independence. 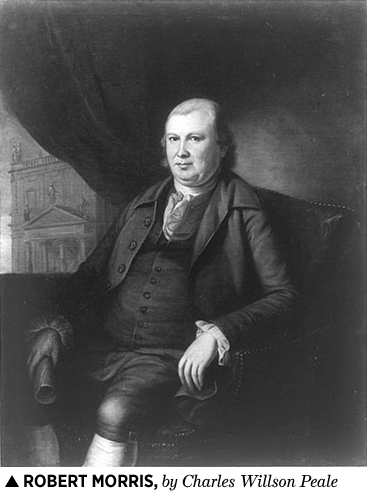 Morris had almost complete control over war financing until 1778, earning him the nickname “Financier of the Revolution.” He personally contributed millions and secured foreign loans with his own funds. 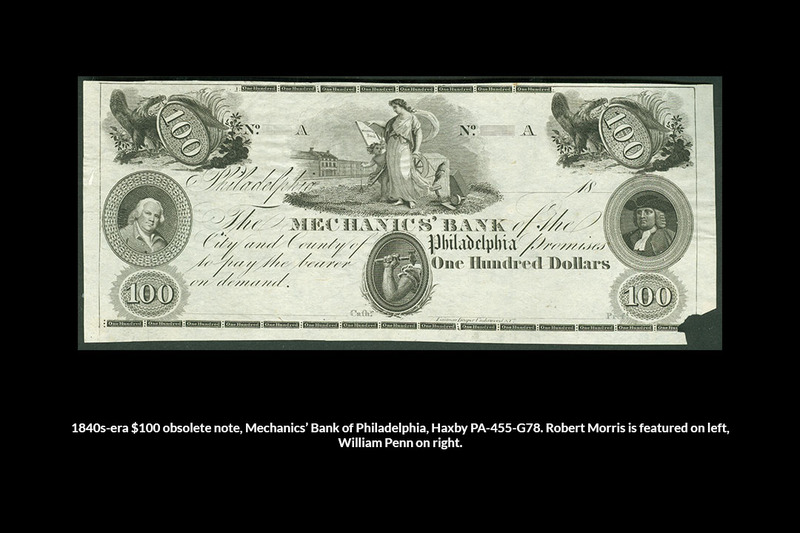 In late 1776, Morris loaned the Army money to pay troops, which proved pivotal in continuing the effort. Privateers sponsored by Morris captured critical supplies and capital. While he did profit from the war, accusations of war profiteering were proven untrue. In 1781, he was named Superintendent of Finance of the United States (the title was changed to Secretary of the Treasury upon Alexander Hamilton’s appointment in 1789). 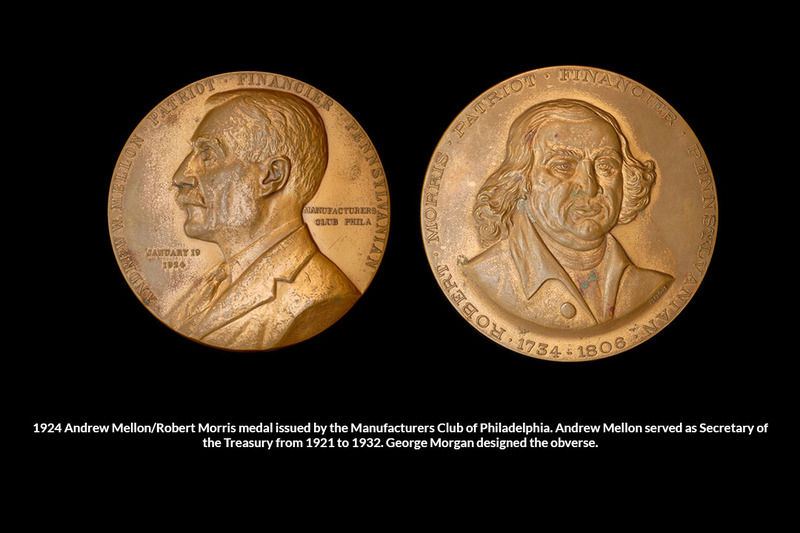 In this position, Morris oversaw the minting of the first coins produced by the United States—the Nova Constellatio (“New Constellation”) patterns of 1783. Morris intended the coins to convert easily to the currency of major European nations. 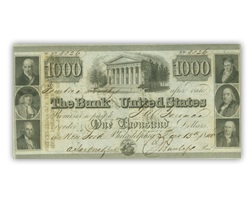 It was the first proposed system of coinage in the Western world to use decimalization—the power of 10, an idea now used worldwide. 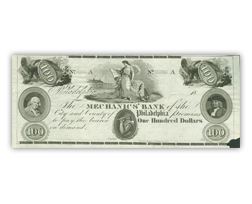 The Money Museum’s four-page Commission of Bankruptcy details an agreement drafted on December 31, 1793, and finalized by Robert Morris and others in March and April 1794. A Commission of Bankruptcy was common at the time—it empowered certain people to examine the cause of a bankruptcy and secured the insolvent entity’s possessions for its creditors. In this case, the “bankrupt” was John Warder & Co., a business failure Morris later said was the beginning of his own bankruptcy. The document establishes Morris, John Nicholson and Thomas Greenleaf as creditors; the three later formed the North American Land Company, investing in ill-advised land speculation that contributed to the Panic of 1796-97. Morris’ remaining years were considerably less noteworthy. His bankruptcy landed him in debtors’ prison for more than three years; upon his release, he lived a humble and private final five years in Philadelphia. His accomplishments and patriotism are celebrated today, and several schools and towns bear his name: Robert Morris University outside of Pittsburgh; Robert Morris University headquartered in Chicago; the towns of Mount Morris (New York); and Morrisville (Pennsylvania); as well as multiple primary schools and statues. He and Roger Sherman were the only two men to sign the U.S. 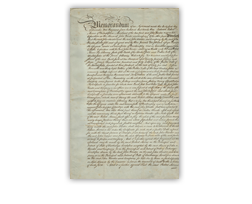 Declaration of Independence, Articles of Confederation and the Constitution. 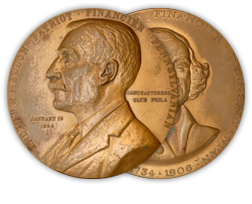 Robert Morris influenced numismatics in other ways as well. 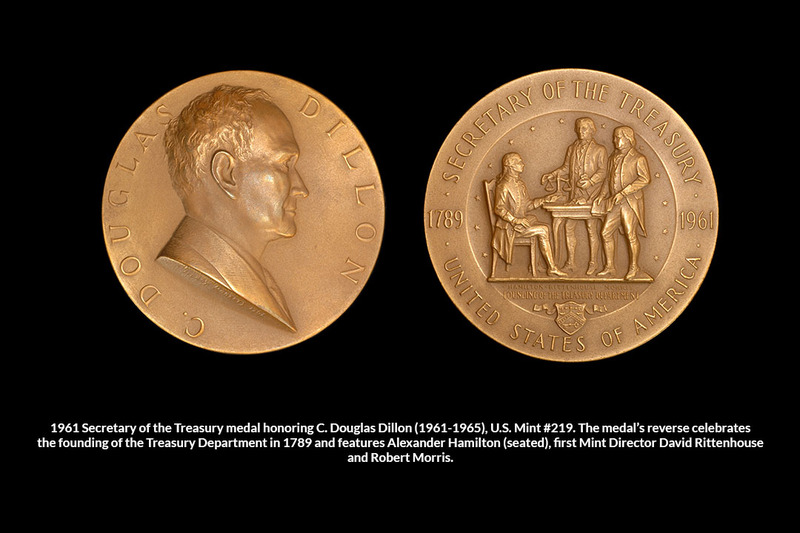 His portrait was featured on the first $1,000 Legal Tender notes in 1862-63, $10 silver certificates in 1878-80, and various medals and obsolete notes. 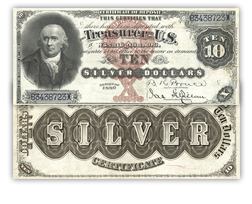 Along with fellow war financier Oliver Pollack, Morris is credited with the first use of the dollar symbol in official government correspondence. 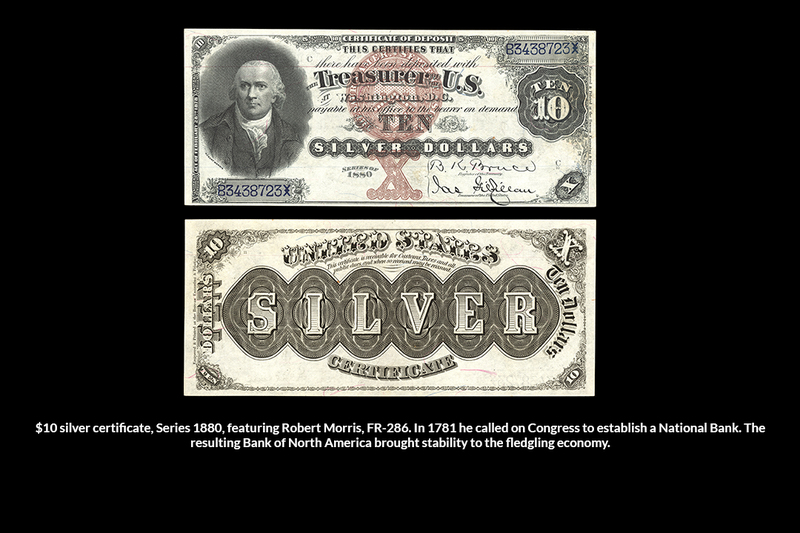 Used by private merchants much earlier, the “$” was likely modeled after the pillar and flowing ribbon found on the Spanish dollar. featuring Robert Morris by using the gallery below. 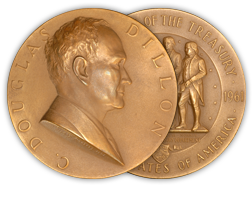 Medals of the Presidents, Secretaries of the Treasury, and Directors of the U.S. Mint, 1789-1981, by Francis Pessolano-​Filos, New York, Eros Publishing Company, 1987. Call # RM85.P7P4. The Financier and Finances of the American Revolution, Vol. 1, by William Graham Sumner, New York, Burt Franklin, 1974. Call # WB50.S8 V.1.